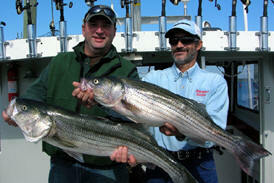 Let Aces Wild Charters show you a great time fishing along Rhode Island's South shore. Aces Wild specializes in Light Tackle fishing. 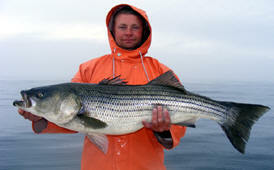 So if you like to catch fluke, sea bass, striped bass, and Bluefish give us a call today. We welcome families and beginners. 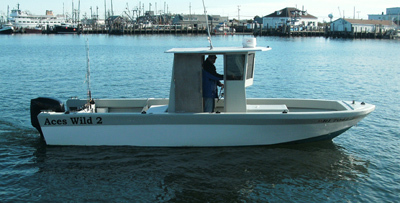 Rhode Island fishing charters from Jim's Dock in Jerusalem.